This week MongoDB World 2018 has been taking place in New York and it has, indeed, been a big week for the MongoDB world with MongoDB 4.0 becoming generally available. We've rounded up some of the latest news from the event in this week's issue. MongoDB 4.0 Now Generally Available — The official landing page for MongoDB 4.0 gives you access to the release keynote, downloads, a white paper, the press release, and more. A Look Into MongoDB 4.0's Multi-Document ACID Transaction Support — MongoDB 4.0’s headline feature is multi-document ACID transaction support. This post reflects on MongoDB’s support for single document transactions so far and why and where multi-document transactions make sense via a practical example. MongoDB Launches Global Clusters to Put Geographic Data Control Within Reach of Anyone — The managed MongoDB-as-a-Service Atlas service now lets users get more granular control over where their data lives using Global Clusters including on other clouds Atlas supports. 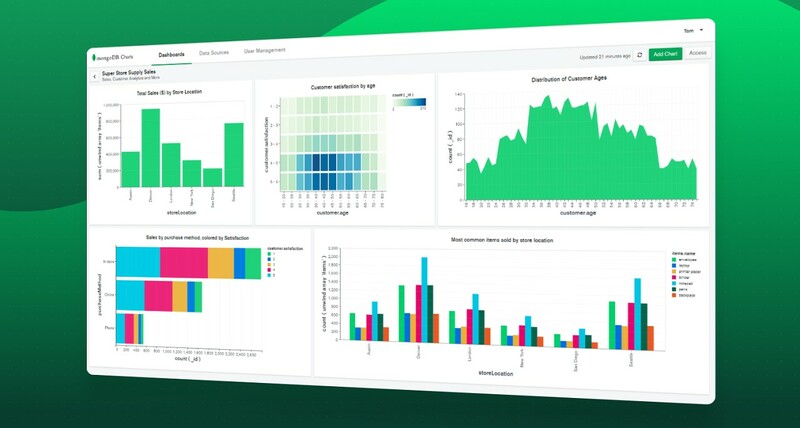 MongoDB Charts: Quick Visualizations for MongoDB Data — Charts is a new official product from MongoDB, now in beta, that connects to a MongoDB data source and creates charts, graphs, and dashboards. New to MongoDB Atlas: Full CRUD Support in Data Explorer — You can now manipulate data right from within the Atlas UI. AWS Summit New York – July 17 (Javits Center, New York) — Members of the MongoDB team will be in attendance, sharing details on MongoDB Atlas. What's New in MongoDB 4.0 – July 17 (Webinar) — An introduction to what’s new in 4.0, including multi-document ACID transactions, Atlas multi-region scaling and more.